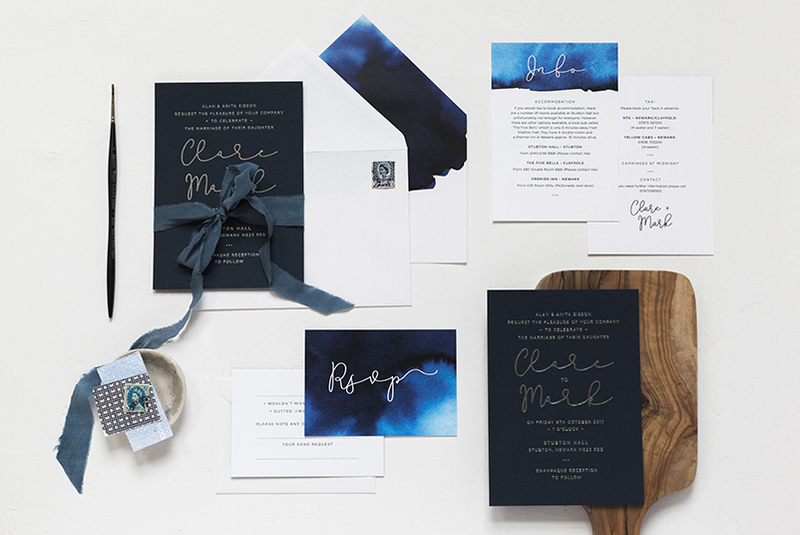 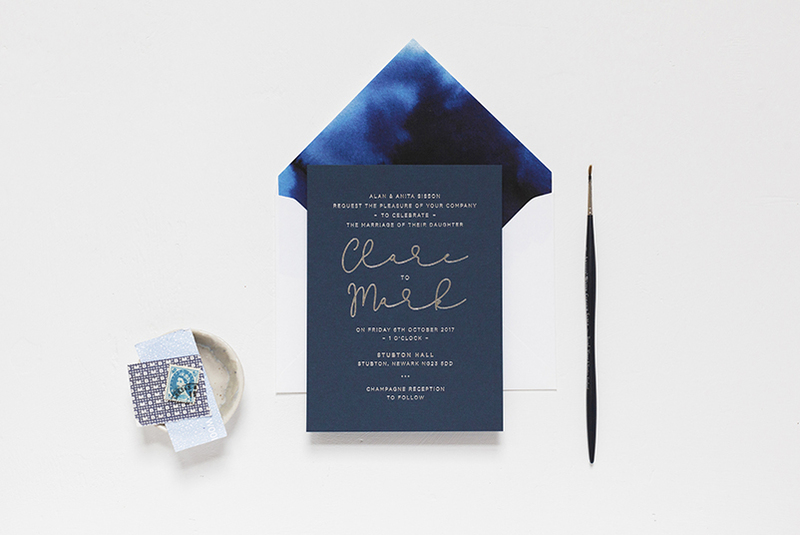 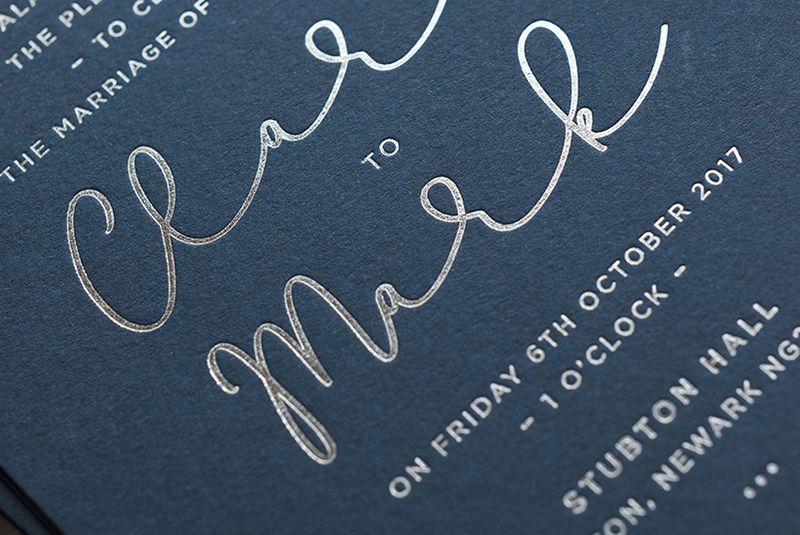 Clare and Mark’s navy and silver invites are one of my favourite designs to date. 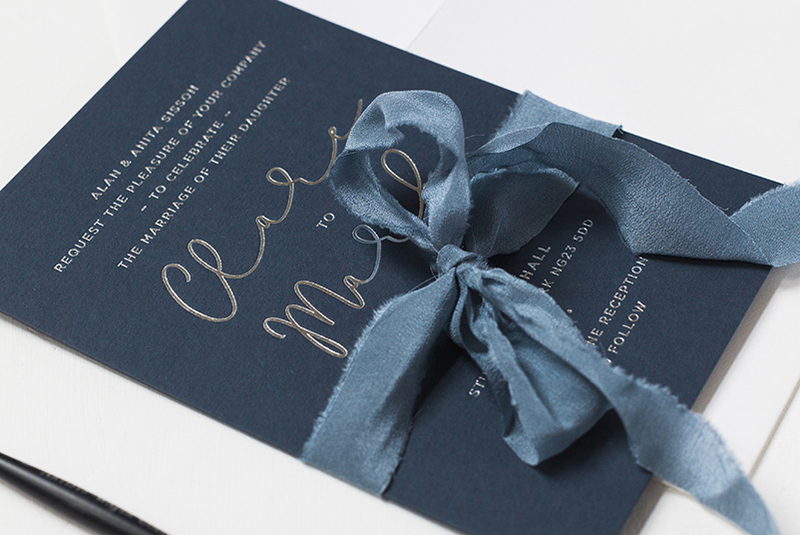 Clare asked for a simple, hand lettered design with character. 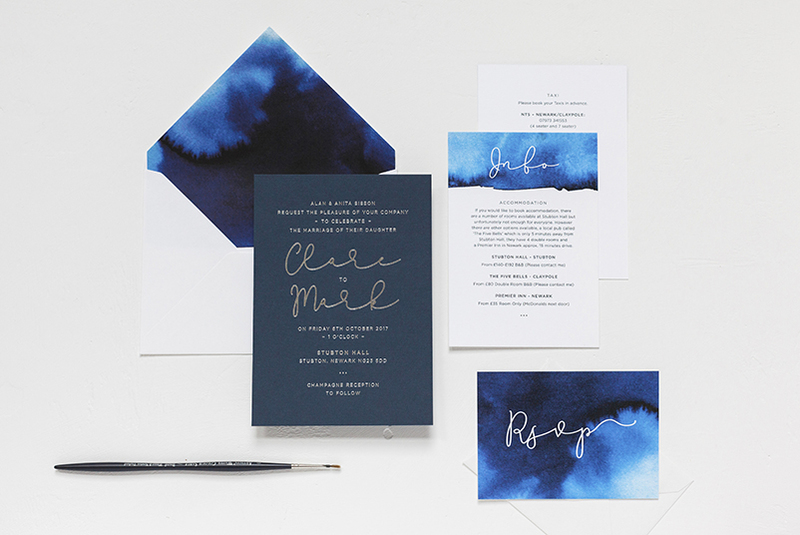 I wanted the unique quality you only get from foil printing to be the main focus and the silver on navy to add the wow factor so I kept the typography simple but not ordinary. 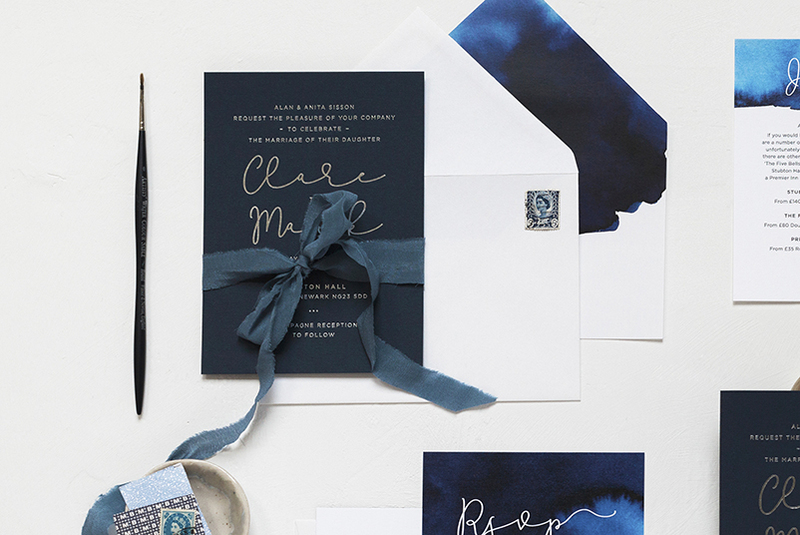 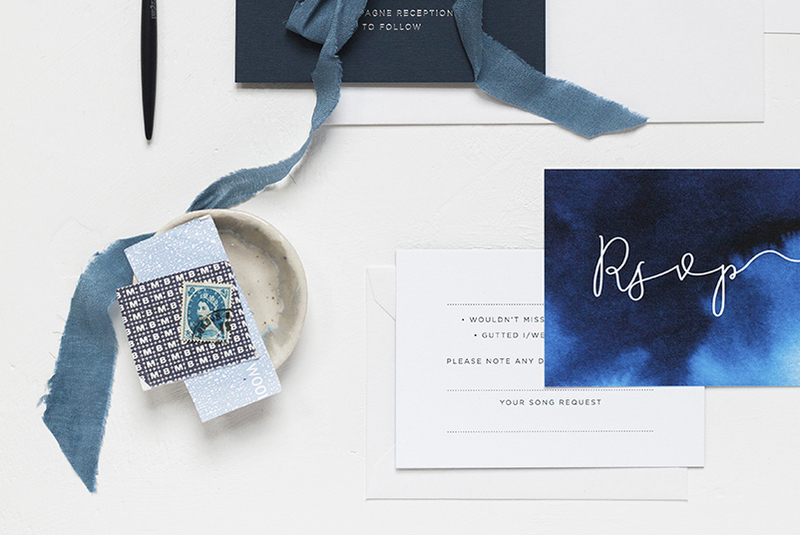 We foil printed the invites on extra thick, navy stock to create a luxurious feel and incorporated, hand painted washes on the RSVP, information card and the envelope liner so every piece complimented one another. 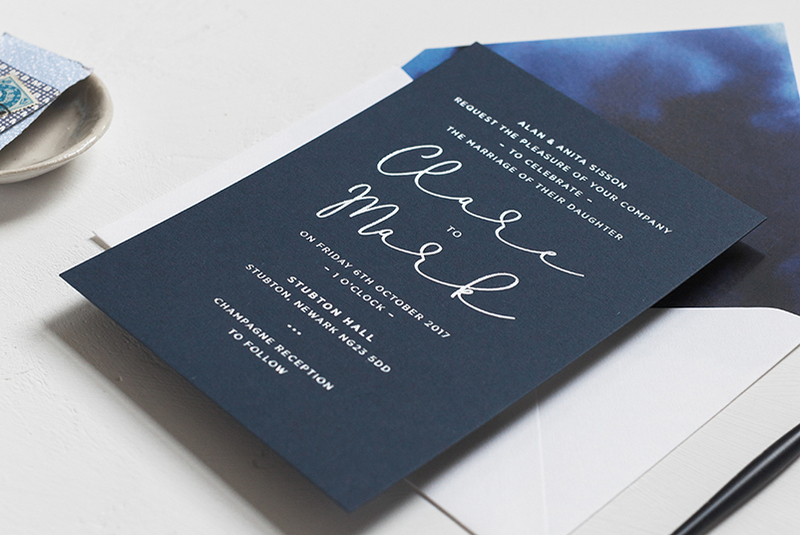 The invites are so tactile, with a lovely impression you can run your fingers over. 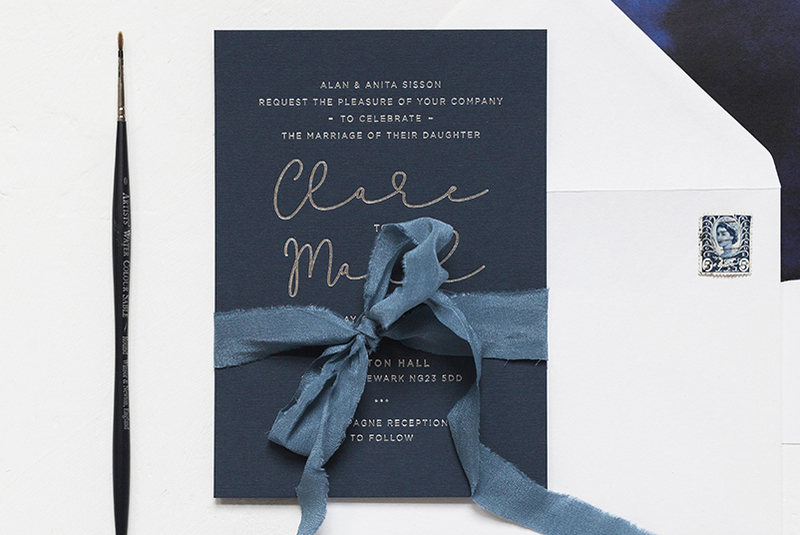 The classic pairing of silver with the navy tones make this bespoke design feel very special yet full of personality with the more relaxed style of lettering.